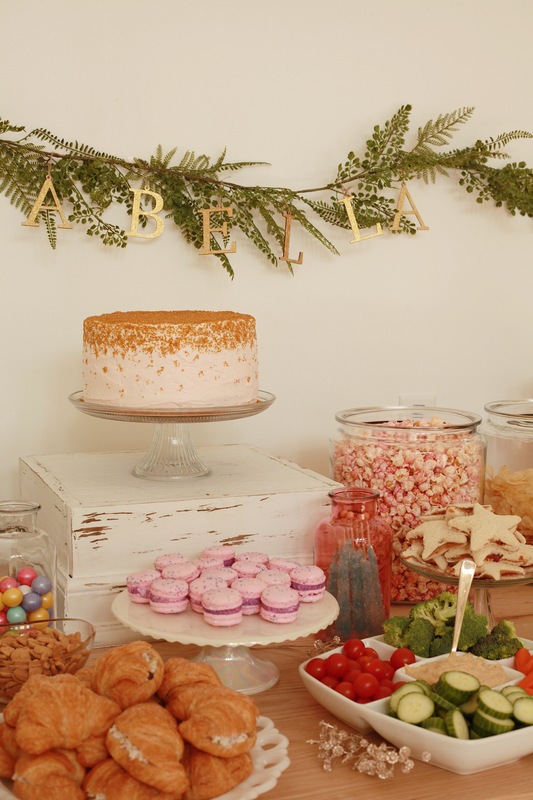 hosted the most precious birthday party this month for her daughter, Isabella. 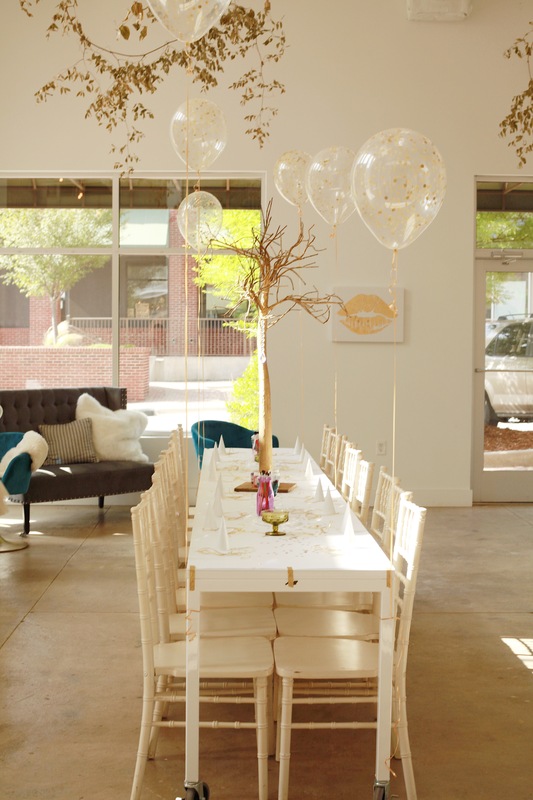 The pictures are adorable, the details to die for, and the overflowing love poured into the party so evident! 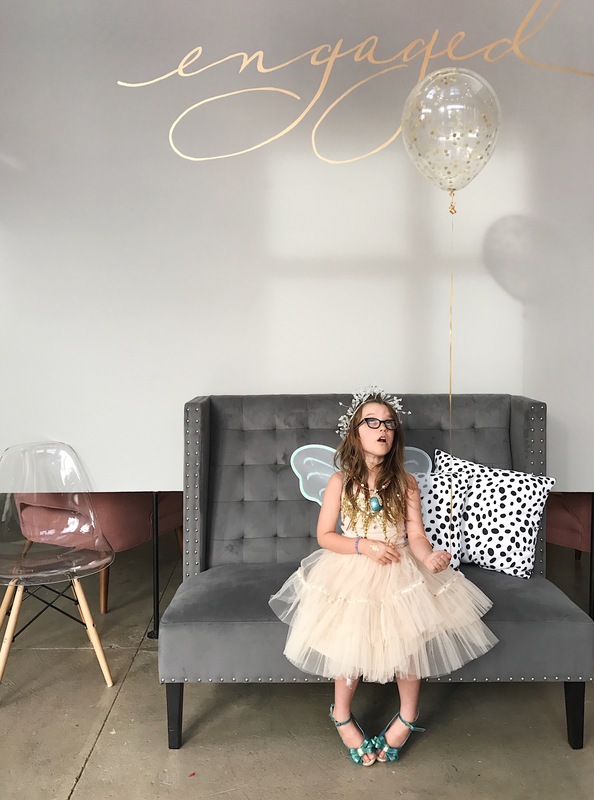 The writing below comes from Joanna‘s own heart where she shares the dreams behind this magical event for her daughter. 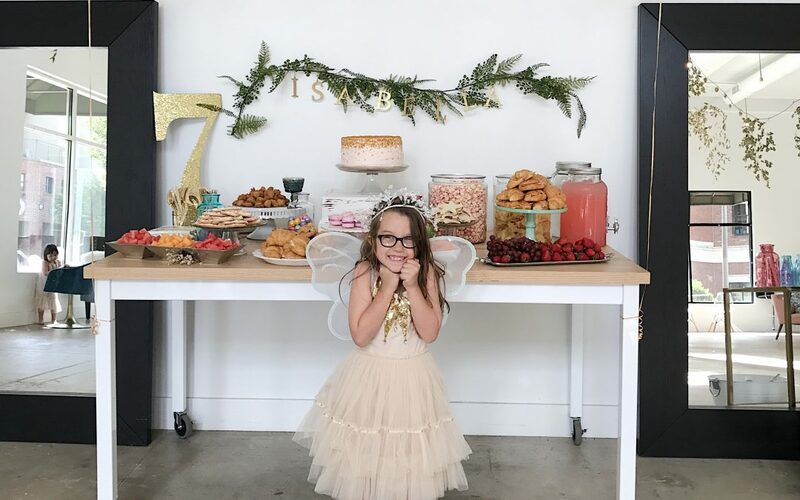 My eldest daughter was turning seven and since we try not to throw a party every year for our daughters’ birthdays, this year was definitely time for a big one. 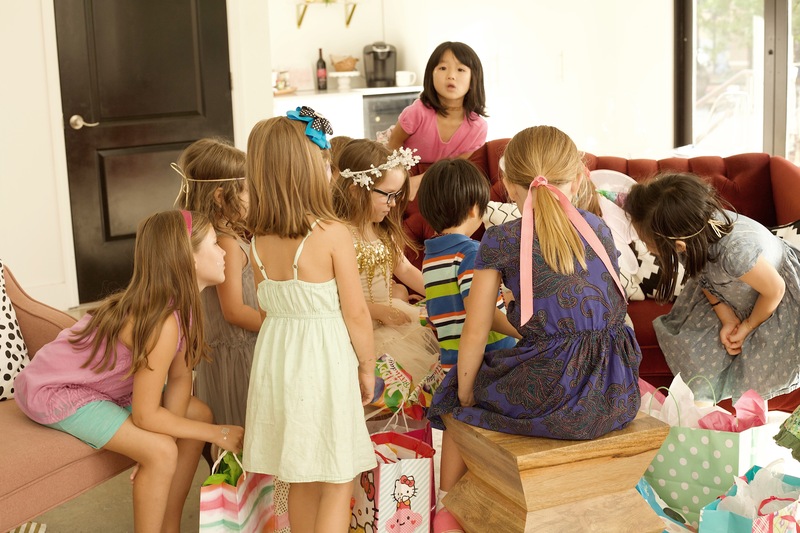 I started to think about what all a seven year old girl would like for a party, and honestly the ideas came very easily. Almost too easily. 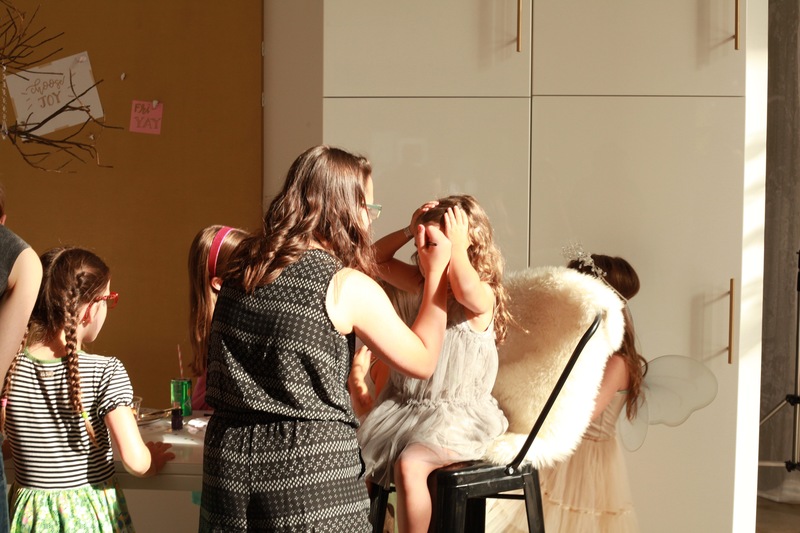 To the point where I had to reign myself in and remind myself this was just a little girls birthday party. 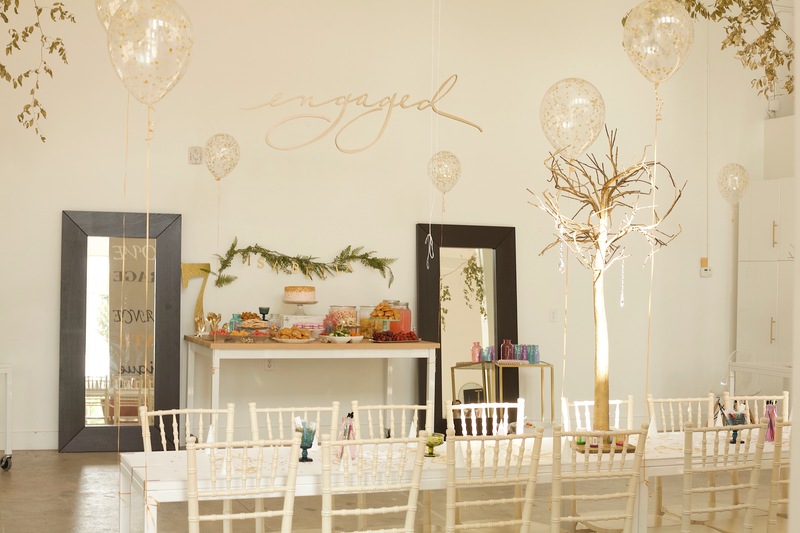 When I first started thinking about throwing this party, and as soon as I had the basic ideas down, I knew Engaged was the most perfect place to have it. 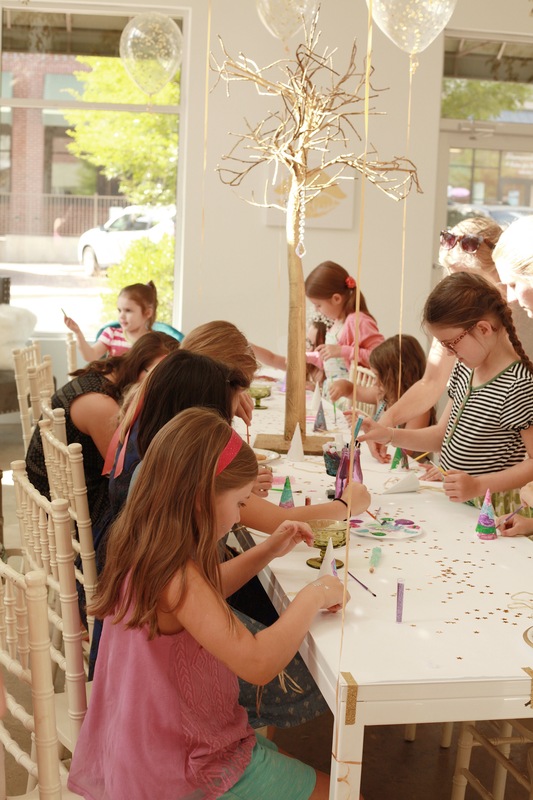 I wanted it to be light and airy and easy to transform into a little place of magic. The green vines already hanging from the ceiling played in perfectly with the theme as well. 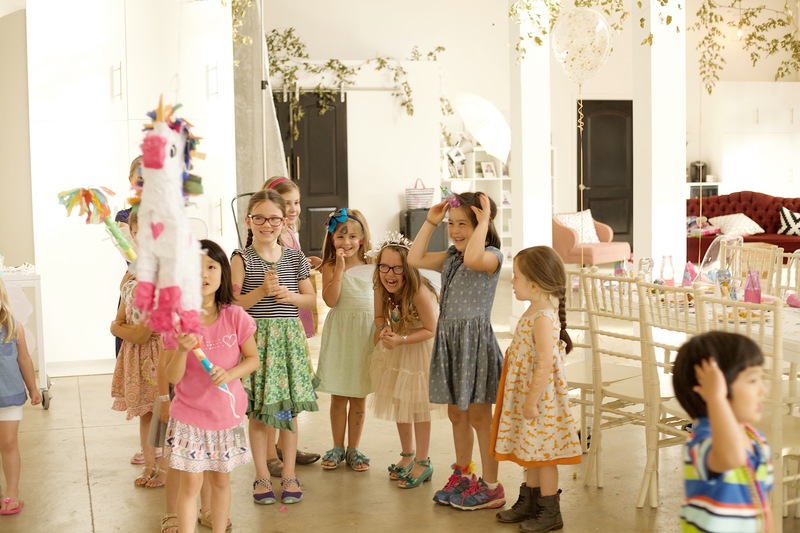 While planning this party, unicorns pretty quickly became a focal point. 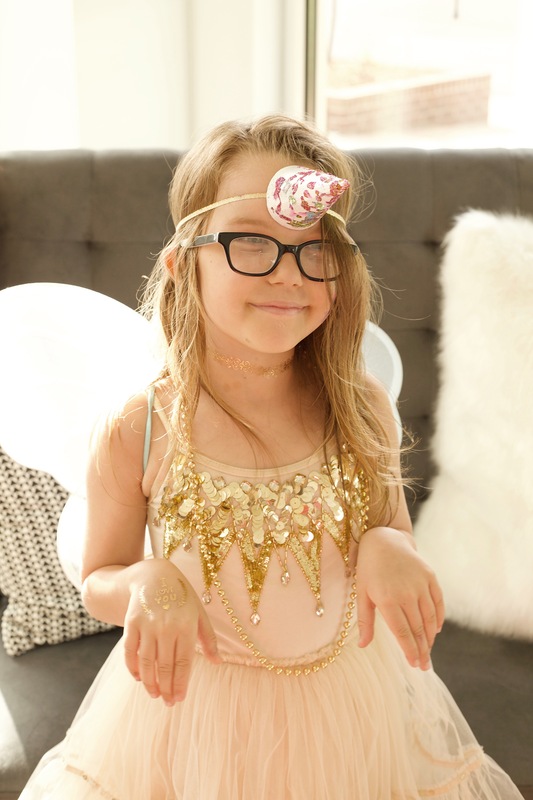 … because what is more magical than unicorns? Nothing! 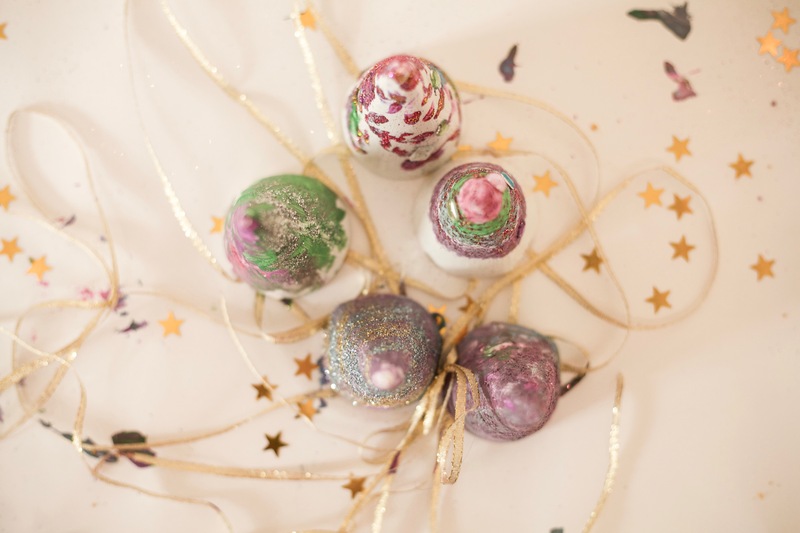 Crafts with glitter? Yes please! 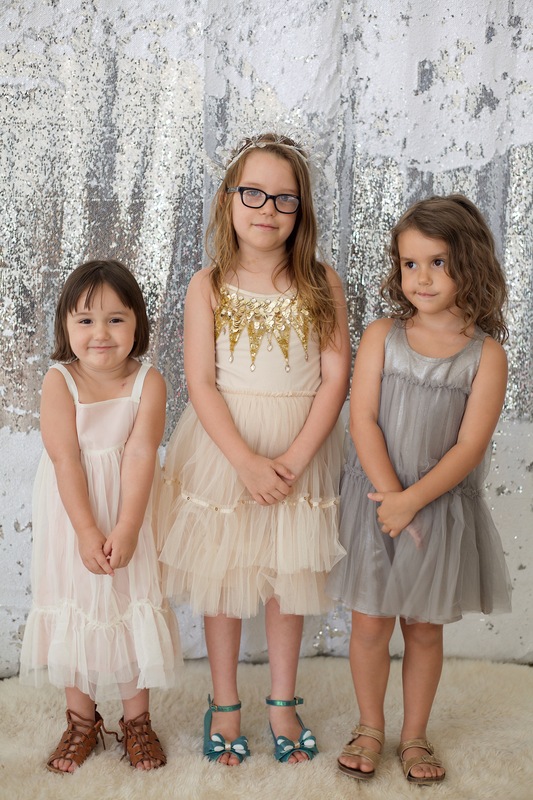 Isabella and her sisters are currently all about My Little Pony. 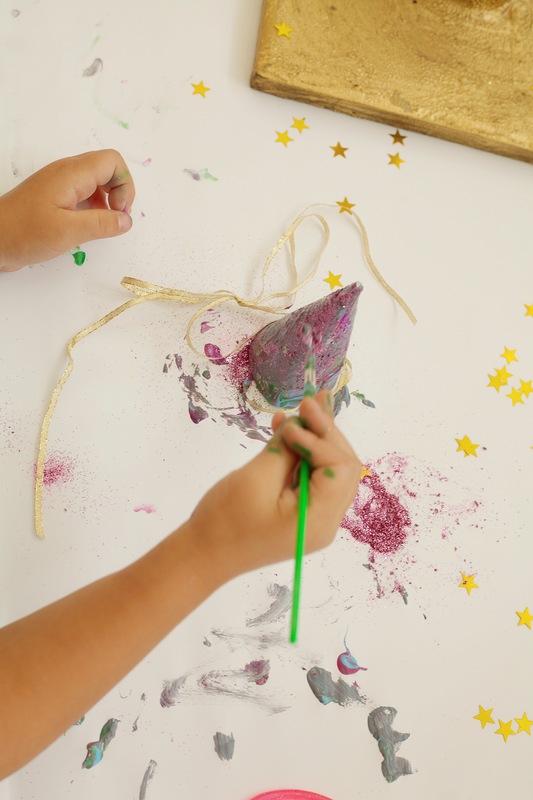 I knew I wanted to have a fun art craft at her party, and I set off thinking of the perfect one. I came up with little unicorn horns hand-made out of paper/cardboard cones and painted white with ribbons attached to them so they could tie them around their heads. 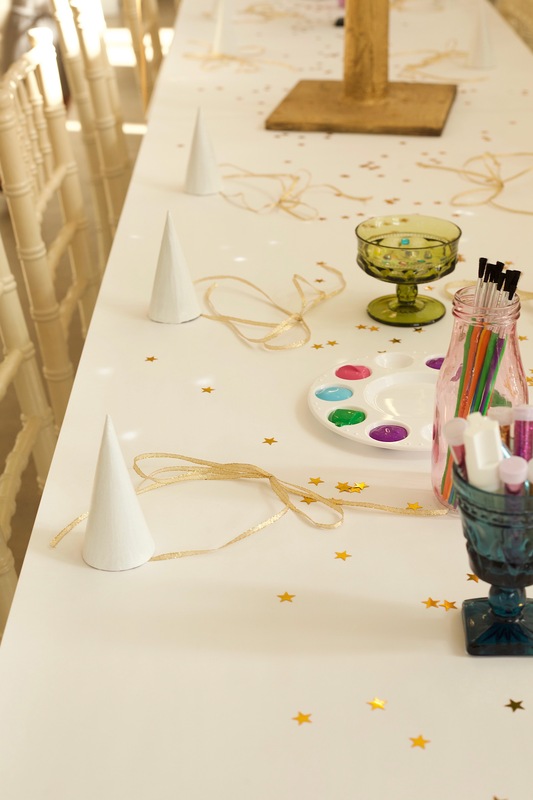 For the party, I set up the long white tables with craft paper to contain the painting/glitter fest that was about to happen and let the girls paint and decorate their own unicorn horn with glitter and jewels however they pleased. 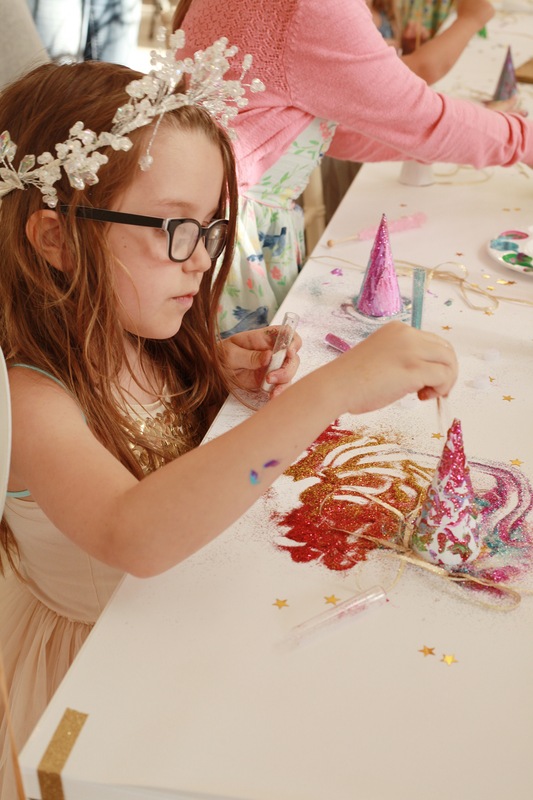 Along with their unicorn horns, we let them all choose their own boho gold tattoos to put all over themselves (sorry parents), and we let a couple of the older girls do some face painting on the younger girls! 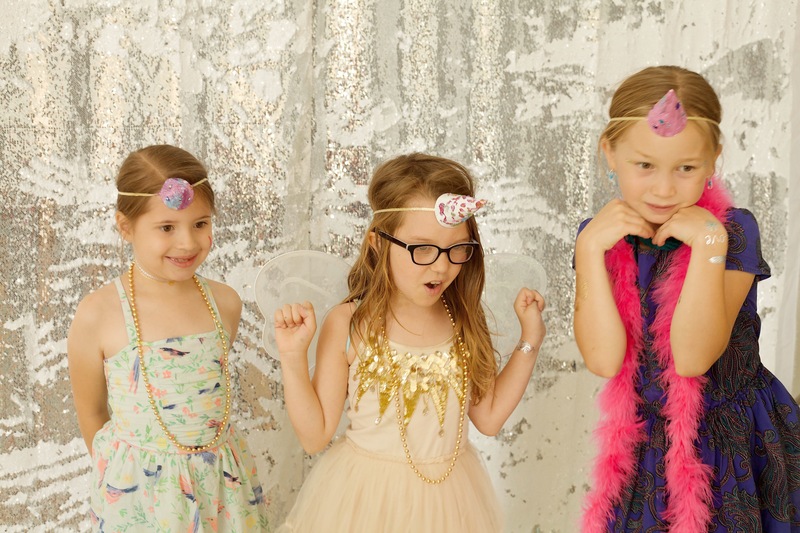 All to get them ready to jump in front of the photo booth with their boas, beads, and fairy wings. Popcorn is to me what donuts are to other people! So Poppy’s Popcorn was for sure going to be there, and their Cotton Candy mix was absolutely perfect to go with everything else. Along with these yummy treats I wanted to keep the rest of the food kid friendly and fun. 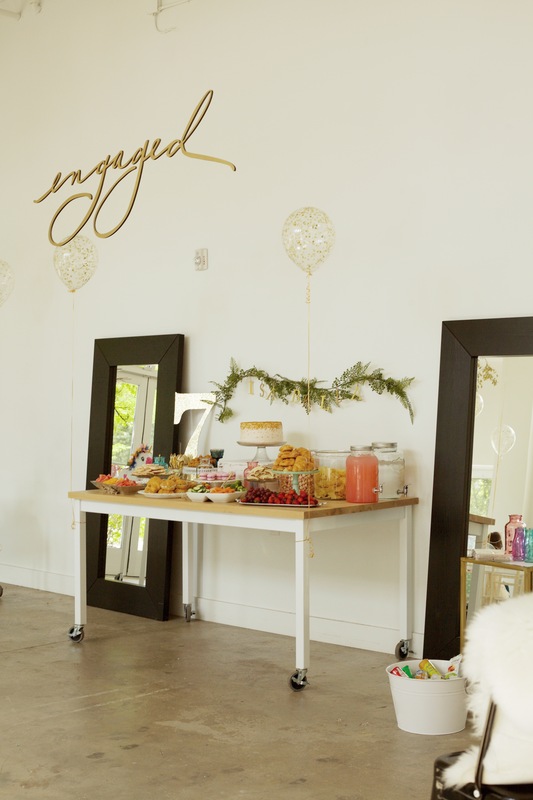 Unicorn shaped sugar cookies, star shaped PB&J sandwiches, canisters filled with rock candy and bubble gum balls, and a tray of Chickfila chicken nuggets (because what kid [or adult] does not love Chickfila nuggets? ), just to name a few. 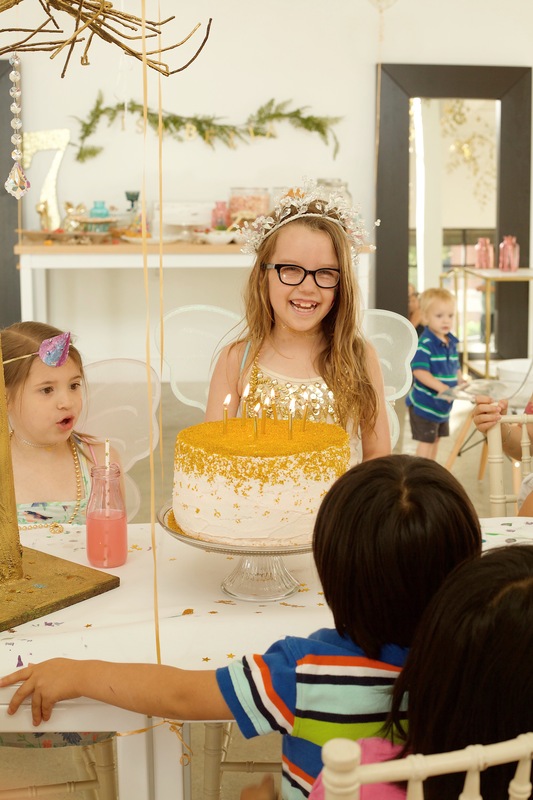 Lucky for me, my sister is an incredible cake artist and she created a simple tall cake with pink frosting and gold glitter sprinkles dusting down the top and sides… because at a magical party the glitter must be everywhere. Am I right? For this party I easily could have gone overboard and there are still things I would have added in if the budget allowed. 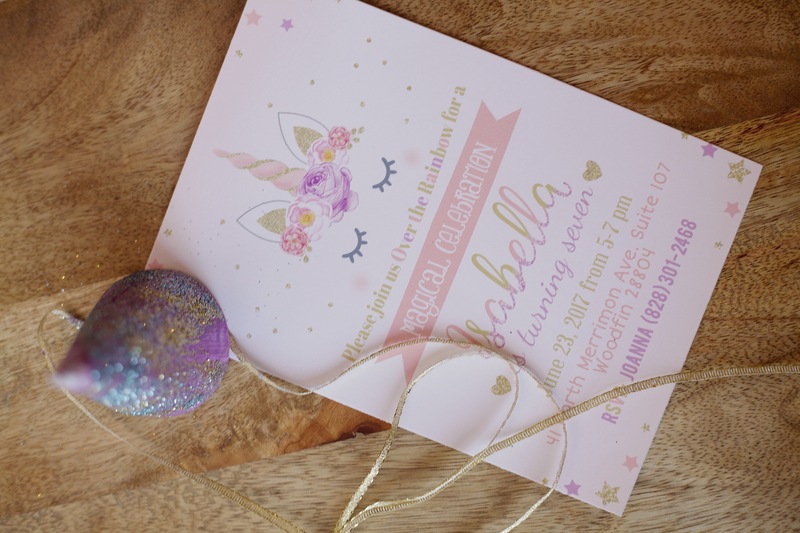 I wanted Isabella to have the most magical, girly party ever. 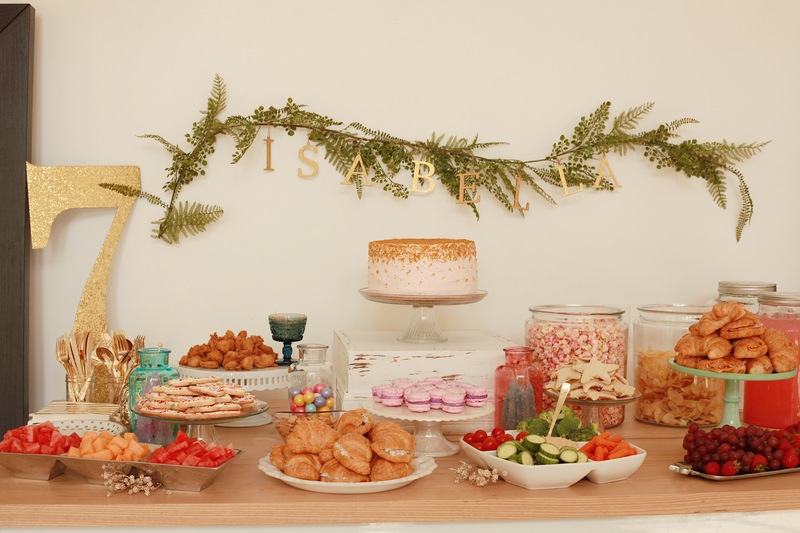 But in the end Isabella had everything she wanted from her party and her favorite parts were: her friends and family coming to shower her with love, her very fancy Tutu Du Monde dress and crystal crown, the yummy treats, and of course the piñata! but also for sharing her words and beautiful images with us!